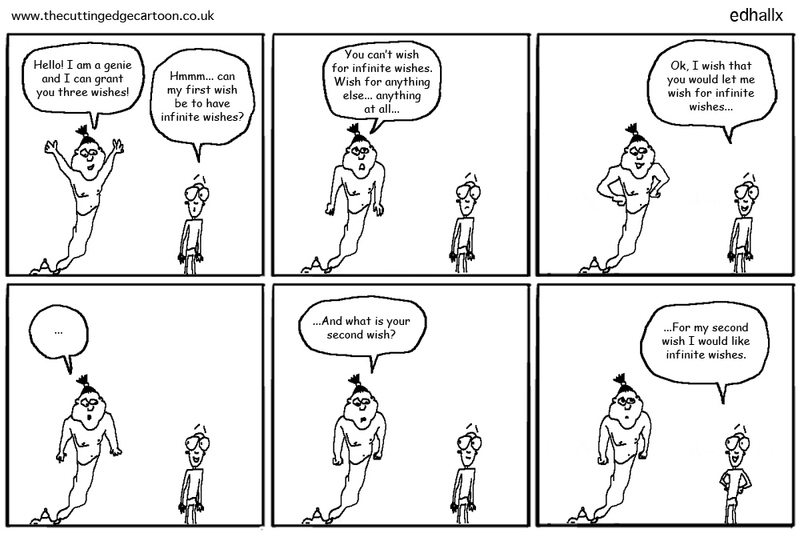 If you found a Genie what would you wish for? This comic was tagged cartoon, funny, genie, webcomic, wish, wishes. Isn’t it spelled “infinite?” Sorry for being a spelling nazi. Oops, I wish Photoshop had a spell checker. Oh well, fixed now. Thanks for noticing.